Roku was already the best little streaming device money could buy. 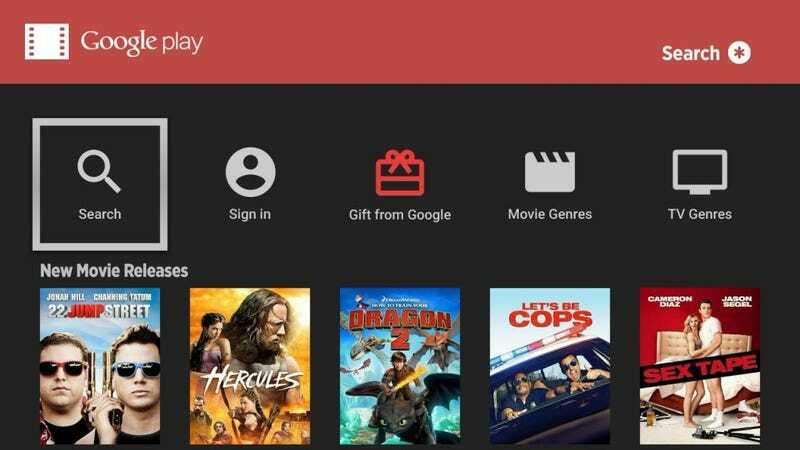 But now, Google has gone and given Roku players access to all your Google Play movie and TV goodies. Which, more than just being an unprecedented move on Google's part, makes Roku pretty much unstoppable. There was no obvious reason for Google to give Roku access to its cache of movies and TV shows; that's what Chromecast and the Nexus Player are for. But in doing so, it's giving Roku owners access to the entire Google Play kingdom—something we have yet to (and probably won't) see from Apple. To get a sense of what this means, just imagine if Apple had given iTunes its own little home on Roku. Apple TV—whose primary benefit is having access to iTunes in the first place—would become a nonstarter, and Roku would reign king. Except in this case, Google gets to be its queen. The new addition also gives Roku users access to Google Play's Info cards, which will offer helpful little facts about whatever's on screen when you hit pause. Of course, this move isn't just coming out of the kindness of Google's heart. Giving Roku users access to its on demand library is going to go a long way in convincing people to start buying more watchables from the Google Play Store. So even if you don't have a Chromecast, Google still gets to cash in. Unfortunately, though, Google Music All Access isn't part of the deal yet.